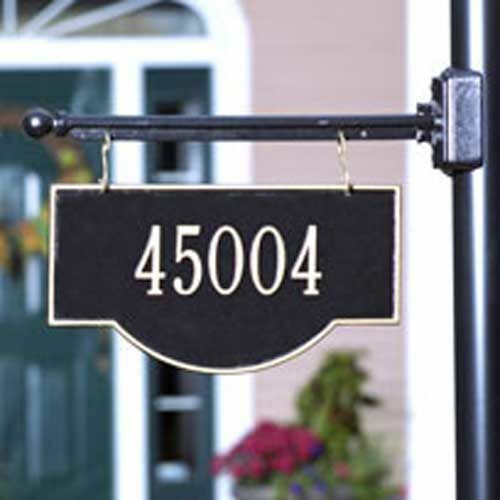 Two Side Personalized Hanging Arch Address Sign - - rust-free recycled aluminum address plaque holds one line or two lines of personalization. Mounting bar sold separately. Made for you in the USA. 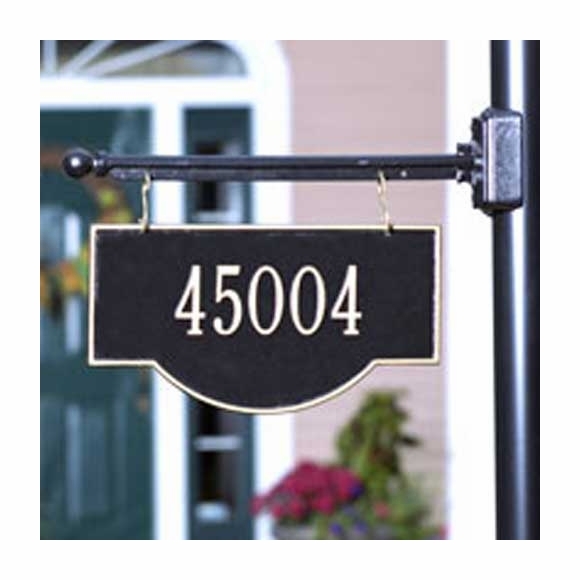 Hanging arch address plaque holds one line or two lines of personalization. Optional mounting bar sold separately. 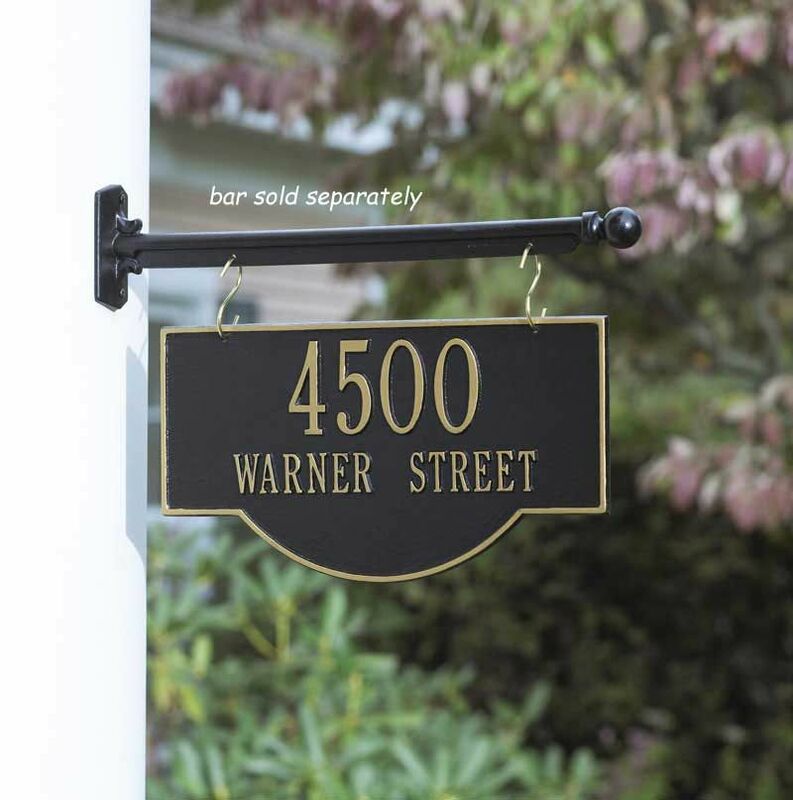 Address sign photo of 88 Biltmore accompanied the below review from Andrew Tusa. Thank you for submitting your photo!